Are Canada and its cities doing enough to protect everyone’s economic and social rights, including the rights of our most vulnerable populations? A review by the UN Committee on Economic, Social and Cultural Rights, to get underway next week in Geneva, will soon let us know. Canada’s obligations to protect the economic and social rights of all individuals are outlined in the International Covenant on Economic, Social and Cultural Rights (ICESCR), signed by Canada in 1976. While the Covenant was signed by the federal government, it is understood that the obligation to protect and secure these rights applies to all levels of government, including cities and municipalities. Maytree has a keen interest in economic and social rights, and how they should be part of all poverty reduction strategies. We are particularly concerned with how cities and municipalities embrace their obligations to protect these rights. Together with a number of civil society organizations, Maytree was in Geneva to participate in this review in late February 2016. 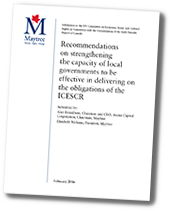 In our submission to the committee, we listed four recommendations on how cities in Canada couldbecome key stakeholders and participants in delivering on the state obligations of the ICESCR. At Maytree we are focusing on the obligations we have in Canada to protect economic and social rights. These obligations are articulated in the International Covenant on Economic, Social and Cultural Rights (ICESCR), signed by Canada in 1976. While the Covenant was signed by the federal government, it is understood that the obligations to protect and secure these rights applies to all levels of government, including cities and municipalities. In many provinces and territories, municipal governments are now responsible for implementing and protecting rights that are covered by the Covenant, including water, sanitation and infrastructure and in some cases, such as Toronto and other municipalities in Ontario, administering housing, social assistance, child care, social services, child protection services and other programs. While some cities have adopted charters of rights or strategies for the implementation of economic, social and cultural rights, most haven’t. Local governments often have little or no knowledge of their obligation and are not held accountable to their Covenant obligations. Another issue is that while cities and other municipalities have been delegated important responsibilities for economic, social and cultural rights, they lack the fiscal capacity to meet their obligations under the Covenant. As cities and municipalities in Canada move forward in developing and implementing anti-poverty strategies, it is an opportune moment to strengthen this work by framing strategies with the language, goals and elements of a human rights approach. Such an approach focuses on meeting the needs of people living in poverty by addressing and protecting their human rights. Municipal poverty reduction strategies should therefore include sections on independent monitoring and enforcement, complaints procedures, timelines and goals, strategies to enable civic engagement, and explicit reference to human rights. Furthermore, at this moment in Canada, there is renewed commitment on the part of the federal government to invest in the necessary physical infrastructure of cities and other communities. As large transit and housing investments begin to unfold, it is an opportunity to include provisions in funding agreements that further the implementation and protection of economic and social rights of the most vulnerable populations. In past reviews of Canada, the Committee on Economic, Social and Cultural Rights has focused on ensuring that provinces and territories are made aware of their obligations under the Covenant. These concerns and recommendations remain pressing and important. Of equal importance, however, is that where municipal governments are responsible for the implementation of economic, social and cultural rights, measures are adopted to ensure that these rights are fully protected in municipal law and policy and that municipal governments have the fiscal capacity to fulfill their obligations. Reflect the ICESCR in public policy, budgets and strategies: Federal, provincial and municipal policies, including budgets and poverty eradication strategies, should be based on the Covenant and other relevant human rights instruments and approaches. In addition to adequate budgets, considerations going forward should include the use and application of all resources. Ensure effective transfer of funding and capacity: Canada should ensure that provinces and municipalities have adequate financial and other resources for the discharge of their responsibilities, with capacity to respond to needs at the local level, particularly of marginalized and disadvantaged groups. 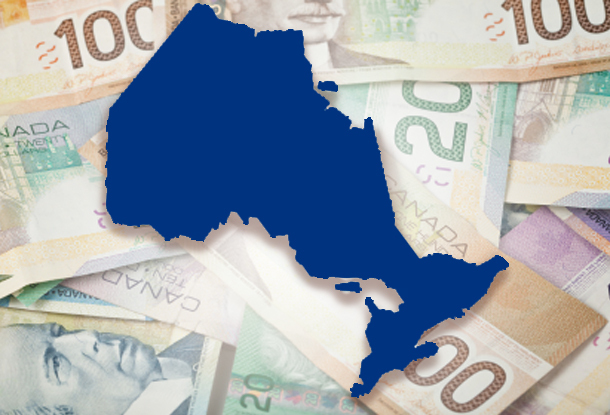 Enable legislation: In order to harness the maximum available resources at the local level, provincial governments in Canada should review existing municipal Acts and implement enabling legislation to strengthen the capacity of local governments to generate revenue, particularly large revenue instruments like sales and income taxes. Encourage the adoption of City Charters of Rights: Canada should encourage cities and municipalities to adopt charters with explicit guarantees of Covenant rights. Municipal charters of rights could incorporate communication and monitoring mechanisms through which local challenges can be identified and addressed within a human rights framework. Maytree Opinion: Strategy is talk. Money is action. Canada’s obligations to protect the economic and social rights of all individuals are outlined in the International Covenant on Economic, Social and Cultural Rights, signed by Canada in 1976. From February 22 to March 4, 2016, the UN Committee on Economic, Social and Cultural Rights will review Canada’s performance on protecting these rights, looking specifically at things like the right to adequate food, housing, work and social assistance. The Universal Declaration of Human Rights (UDHR) is the foundation document that defines fundamental human rights to be universally protected. It was adopted by the United Nations General Assembly on December 10, 1948. The United Nations has further created a number of international treaties (or “Covenants”) that define specific rights and outline the obligations of governments. One such Covenant is the International Covenant on Economic, Social and Cultural Rights. For more details, read What are human rights? What are economic and social rights? According to the Human Rights Fact Sheet No. 33, “Economic, social and cultural rights are those human rights relating to the workplace, social security, family life, participation in cultural life, and access to housing, food, water, healthcare and education.” They include things such as the right to fair wages and equal pay; the right to adequate protection in the event of unemployment, sickness or old age; or the right to an adequate standard of living. The International Covenant on Economic, Social and Cultural Rights lists the rights and outlines the obligations of the state to protect them. It was adopted by the UN on December 16, 1966 and ratified by Canada on May 19, 1976. Canada’s compliance with the International Covenant on Economic, Social and Cultural Rights is periodically reviewed by the Committee on Economic, Social and Cultural Rights. Governments make official reports to the Committee that outline how economic and social rights are being implemented and enforced in their country, while non-government organizations are invited to make parallel reports with their perspective. While the Covenant was signed by the federal government, it is understood that the obligations to protect and secure these rights applies to all levels of government, including cities and municipalities. As more and more cities and municipalities in Canada move forward in developing and implementing anti-poverty strategies, it is an opportune moment to strengthen this work by framing strategies with the language, goals and elements of a human rights approach. Such an approach focuses on meeting the needs of people living in poverty by addressing and protecting their human rights. 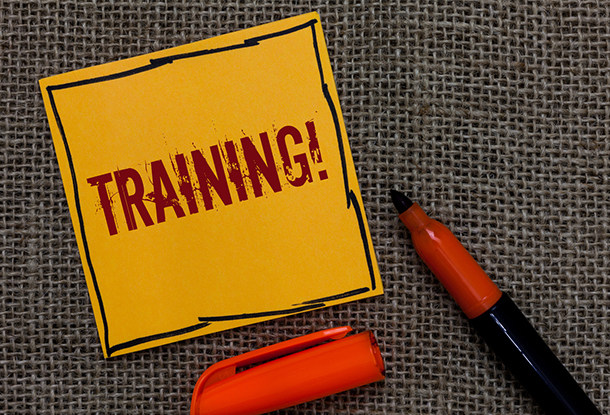 The next review will take place from February 22 to March 4, 2016. While poverty is not explicitly mentioned in the International Covenant on Economic, Social and Cultural Rights, it is a recurring theme in the Covenant. Poverty has also been an ongoing concern for the Committee on Economic, Social and Cultural Rights as well as civil society organizations when commenting on the obligations of governments especially in protecting the economic, social and cultural rights of the most vulnerable populations. In fact, the protection of economic, social and cultural rights such as the right to work, housing or food, has a direct impact on poverty. The Committee on Economic, Social and Cultural Rights is the enforcement mechanism for the International Covenant on Economic, Social and Cultural Rights (ICESCR). The Committee, with its 18 independent experts, is responsible for periodically reviewing member states’ compliance with the ICESCR. All states that ratified the ICESCR are obliged to submit regular (“periodic”) reports to the Committee. 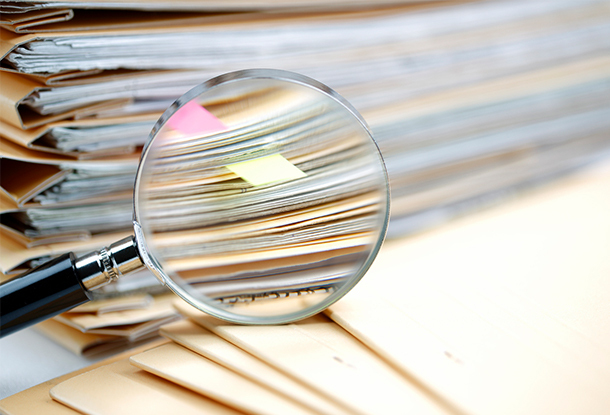 Following an initial report two years after ratification, periodic reports are then requested after that. Canada’s last review occurred in 2006. Its sixth review is taking place during the 57th session from February 22 to March 4, 2016. This submission to the UN Committee on Economic, Social and Cultural Rights makes four recommendations on the role of cities in protecting our rights.